The first weekend in December comes around way too quickly every year. The plan is always the same in the lead up to the Tour of Bright: Drop a few kgs, ride more hills, do more kms on the TT bike. A pretty simple formula that I'm sure sounds familiar to everyone from C Grade to Masters 6+. Before you know it you're half way through November and it's all too late. I've never had any issues getting plenty of race time on the TT bike, that is where my true love for the sport lies. It has always been dropping the weight and hitting the long hills that I've never been happy with prior to race day. This year was different. A lot of things went to plan in the lead up. A lot of things went even better in the race. My good friend, team mate, eventual 2nd on GC, and my very own 'Froome', Stephen Lane has penned a great write up of the MMAS123 race here. I wanted to write this report from another angle. 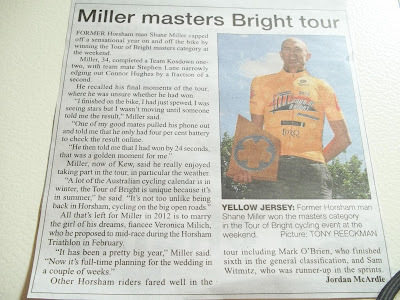 The journey leading up to pulling on the MMAS123 yellow jersey after the final stage after six years of trying. 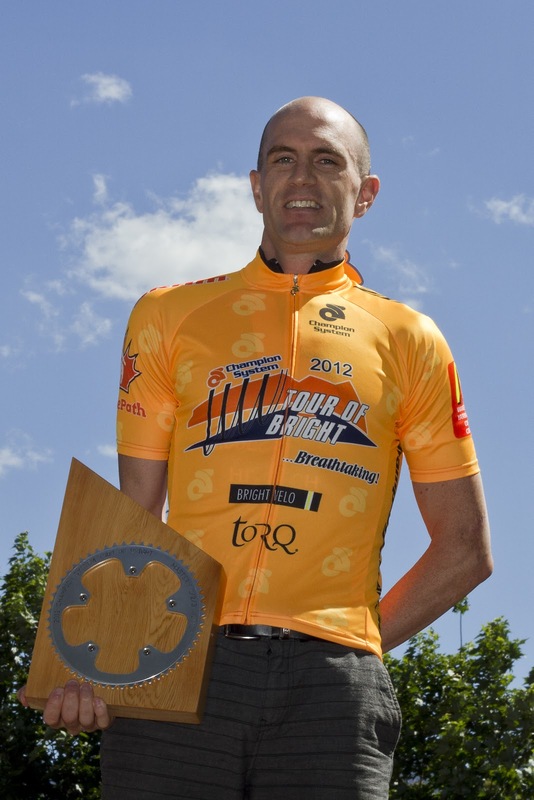 Wade Wallace summed up perfectly what the ToB means to club level cyclists - "It’s Australia’s amateur Tour de France." It is a race that cyclists of any calibre can live out their dreams of being in a stage race with feed zones, timing systems, online results, and those epic mountains! It is the first stage race I heard about when I took up the sport. It doesn't have any UCI points, it isn't NRS, it isn't a championship, it it simply the Tour of Bright, or just "Bright" to most of us. It is the event on the road racing calendar that stands apart from the rest. My ToB history is pretty varied. 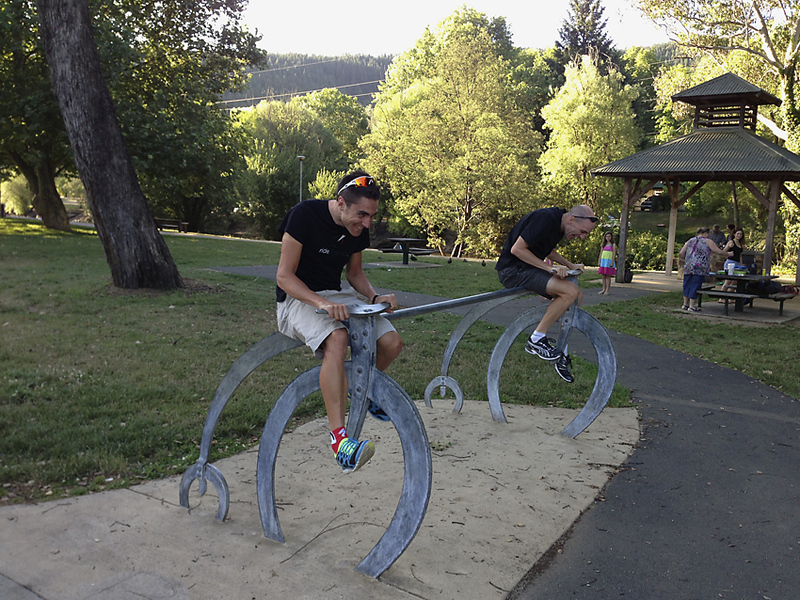 I'm not a lightweight climber who'll limit their losses in the TT. I'm more of a TTer who'll try to limit losses on the climbs. The biggest issue for me is trying to limit my losses on the biggest hill, Mount Hotham! 2006 - Entered B Grade. Death in family, unable to race that weekend. 2007 - MMAS123. 9th GC. Stage 2 TT win. 2008 - MMAS123. In break. Crash on Tawonga. DNF. Photos (awesome gore warning!). 2009 - B Grade. 5th GC @40sec. Stage 2 TT win. 2010 - Missed entry cut. 2011 - MMAS123. 17th GC. Missed break Stage 1. 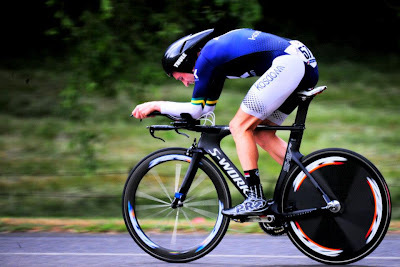 Stage 2 TT win. 3rd Stage 3. I've always targeted and done well in the TT, just never been able to crack a podium spot on final GC. The closest was B Grade in 2009 where I was leading after day 1. After being dropped up the final climbs I lost all fight to the top of Hotham thinking my GC chance was well over, it was only 40 seconds off! I've always regretted not riding harder that day in the final kms. 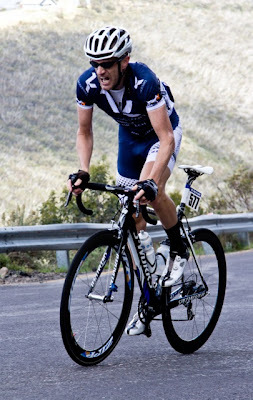 Last year might have been different if I didn't miss the early break on Stage 1..... the shortened Hotham stage in 2011 was really to my liking too. All "what could have been" scenarios. Time to start focusing on the "what will be" ones! Every year after the Masters Nationals TT in early October I switch to 'ToB' training mode. More kms, more hills, less food, same old TT intervals. The preparation this year started with the 100km Grampians Audax (2600m climbing) a few days after our trip to NSW. The first 20 minutes up Mt William felt good. The rest of the day I was in the hurt box trying to convince myself that slogging up hills in 2.6°C foggy weather was all part of the building blocks for Bright. The power numbers were nothing special, I was 'heavy' at 74kgs, but this was just the beginning. I was much happier rolling out of bed the next day and racing a 46km flat handicap with the Grampians Vets... which turned into one long time trial for the final 34km. The first of many back-to-back training days on the bike over the next two months. Eight weeks from the ToB I stepped up the weekly kms, rode a few hilly races, and started eating the right kind of foods (at the right times of day!). My weight was dropping, power numbers were good, and my times up hills were getting faster. A twilight attempt at Tony Reeckman's Mt Buffalo Challenge resulted in knocking 2 minutes off the time I set prior to the ToB last year. A solo climb is a lot different to a bunch race up a hill, still, always a good confidence booster knowing I wouldn't be losing as much time on the hills if I didn't make it into the front climbing groups. Back home for more kms, more hills, less food. Strava KOM hunting was the new diet plan during the week. Find a segment a few minutes long and ride it as hard as possible. KOM hunting is only fun for about two weeks. Having your eyeballs go lactic and almost falling off your bike loses its shine very quickly. This kind of training puts race day pain into perspective..... it is never that hard in a race! Back home again. Two weeks to go. 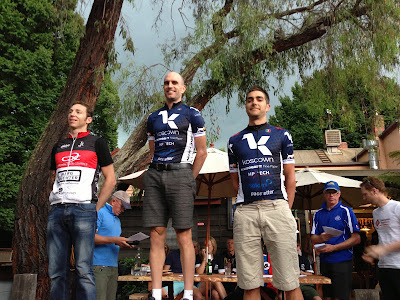 I raced a crit with Coburg CC to get some bunch time prior to race day. Turning the legs over with a different goal in mind meant I wasn't out on the attack. More Strava KOMs targeted. More loops around Smiths Gully. 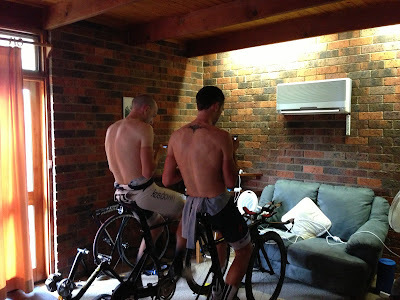 More TT intervals that were now course specific. More kgs dropped. This was finally the year I'd nailed my ToB preparation. I don't take a lot of notice of my WKO Performance Management Chart - however all the lines and numbers were exactly where they needed to be if I was to over analyse my power data. Race day(s). With the MMAS123 race now being controlled by a handful of teams we were lucky enough to close the time gaps at the end of each stage. I also had a great ride in the TT taking the MMAS123 stage win. As mentioned above, Stephen Lane has covered the racing here in good detail. I won't re-hash it. In short, we achieved the best result possible - 1st and 2nd on GC after the final stage on Mt Hotham. 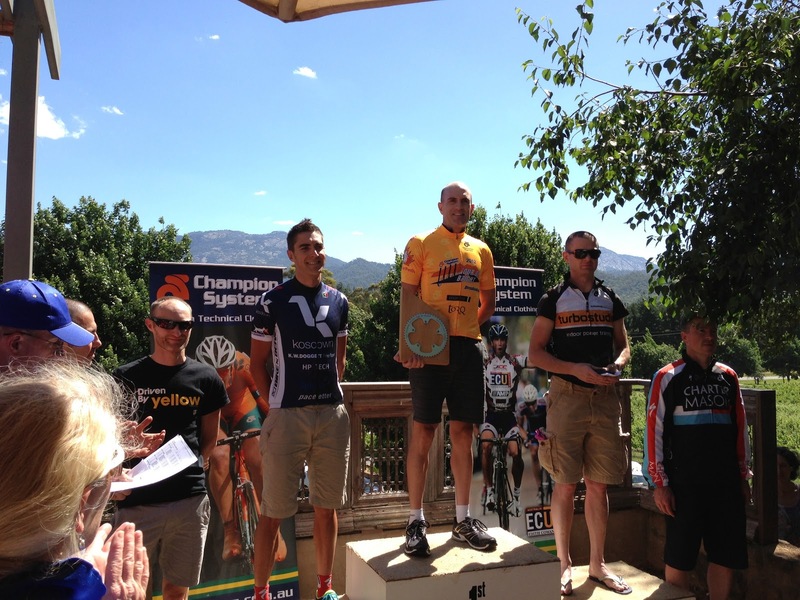 It is too cliché to say hard work pays off, bike racing isn't that kind. What I had was the best lead up, the best support, the best training partner, and the best luck anyone could have possibly asked for. In a race that I've trained 100s of hours for, only to be been dropped in. A race I've broken bikes, broken bones, and bleed all over an ambulance in. A race I've got too many scars from.... Standing there in the 2012 MMAS123 Yellow Jersey took a lot more than just those three stages last weekend. Kosdown Performance Cycling shots by Michael McRitchie. Kos Samaras / Kosdown Performance Cycling / Bike'n'Bean: Making sure we're able to train and race at 100% One SMS saying I had 4 gears up Mt Buffalo after my old DuraAce lever dies and my bike had SRAM Red installed in no time flat. Support doesn't get any better than that. I'm so proud to be a part of KPC and to be wearing their colours. Stephen Lane: Froome. 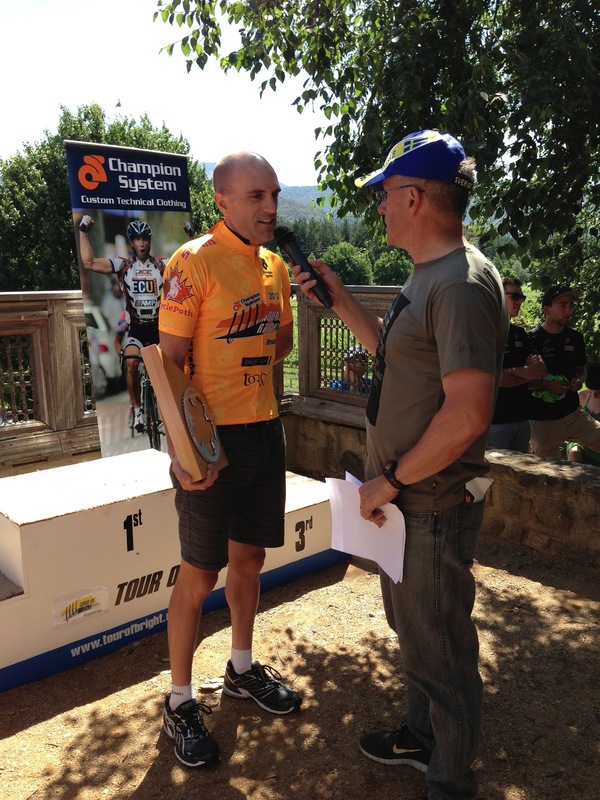 From a triathlete to podium spot at ToB, who'd have thought? What a year we've had on and off the bike. Tony Reeckman, Tully Lyster, Rhys Lyster, Marty Tobin, and all the Wangaratta crew: Thanks for the hospitality, the support, the rides, the racing, and the event sponsorship up that way. Von and I love it up there. Feels more like home to me than Melbourne. Aaron Smith (Alpine CC. Race Director): For sneaking an extra Violet Crumble in my rego bag and having a laugh about it with me on the start line. See KitKatGate here for the back story. What a champion! Cycling Victoria: For putting on the racing. How often does an official hug you after your TT? Mr Pink is awesome! Also for their great work on the Tweets/Facebook updates that help bring the event to life online. Families, friends, supporters can now follow the racing all in real-time. Great use of technology to promote the sport! Everyone who reads these write ups, follows my Twitter, Facebook, etc. I hope what I bang out on the computer is entertaining and gives a unique view of things. Von: aka Mrs Llama in a few weeks. Can I wear the yellow jersey at the wedding? Christmas comes early at the TOB! How good is this! Perfect race number application... takes YEARS to perfect. This is my idea of a fun day out! TT warm up. Right in front of the aircon. MMAS123 Stage 2 TT Podium. 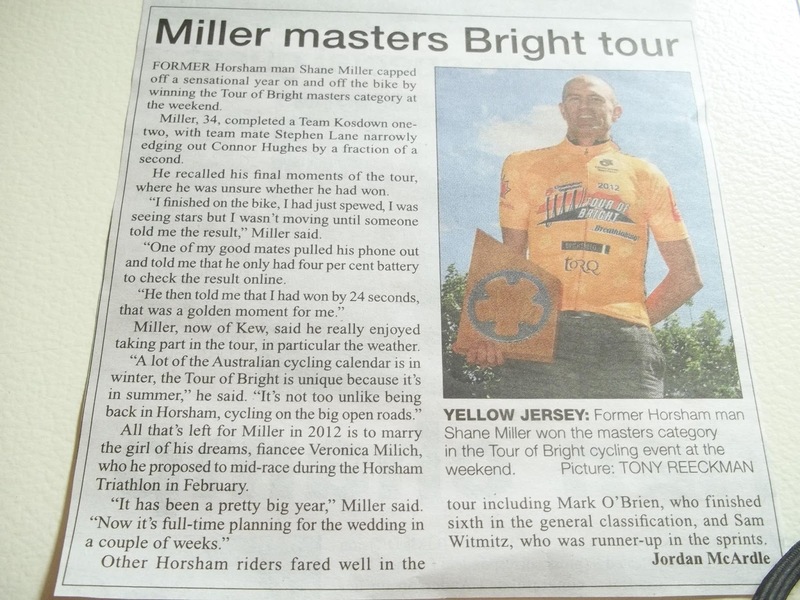 Article in the Wimmera Mail-Times. SLane and I have one last race for the weekend.